Global smartphone production for 2016 grew 4.7 per cent annually to reach a whopping 1.36 billion units in total, according to the latest figures. The biggest talking point however is the huge growth of Chinese smartphone brands. Market research firm TrendForce put the figures together, and found that Samsung continued to top the annual global rankings in spite of the discontinuation of the Galaxy Note 7. The South Korean tech juggernaut saw a marginal decline of 3.3 per cent compared with the 2015 figure. Chinese brands Huawei, OPPO and Vivo respectively occupied the last three spots in the global top five and followed closely behind the second-place Apple. The report points out that the total production volume of all Chinese brands for 2016 was 629 million units, surpassing the volume of 519 million units jointly from Apple and Samsung. It is expected that going forward, Chinese smartphone makers are expected to account for around 50 per cent of the global market in 2017, which will pose an even greater challenges to other international brands. As previously mentioned, Samsung had something of a difficult 2016 in the smartphone market and the company did not achieve its annual shipment target due to the fallout from the battery defect in the Galaxy Note 7. Samsung’s global market share also declined steadily, from 28 per cent in 2014 to 25 per cent in 2015 and then to 23 per cent by the end of 2016. Again, a lot of this can be put down to increasing competition from Chinese brands. Samsung’s production volume registered its second consecutive year of decline in 2016, falling by 3.3 per cent compared with the prior year. With that all said, the company was still the market leader but it is anticipated that Samsung’s smartphone business will keep struggling in 2017 and that the firm will likely post another drop in production volume. 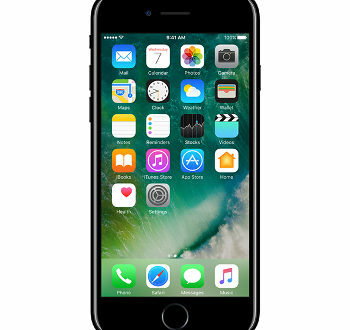 Apple’s iPhone production volume fell 11.5 per cent annually to 209 million units in 2016. The iPhone 7 and 7 Plus weren’t the warmest received of Apple’s smartphones, and this likely hurt demand according to the report. 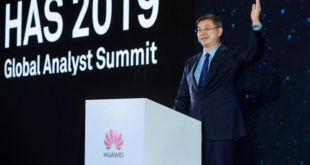 Though Apple was second place in 2016 ranking with 15.3 per cent of the global market share, the market share difference with the third-place Huawei was only around five per cent. The market generally expects that the next iPhone (the 10th anniversary edition if you want to be reminded of how old you are) will "shoulder the burden of driving sales for Apple". However, TrendForce’s latest projection indicates only single-digit growth for this year’s iPhone production volume. Having something of an unimpressive year – according to the figures – was LG. Its flagship G5 did not gain much traction in the market and the brand’s performances in mid-range and low-end segments were less-than stellar. As a result, LG was only able to increase its production volume by 10% annually to 75 million units. But as we mentioned to earlier, the biggest growth came out of China. 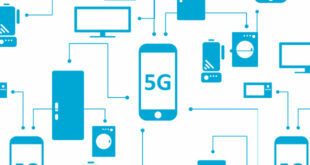 Huawei’s heavy investments on R&D, particularly within its chip subsidiary HiSilicon, continue to pay off greatly in terms of obtaining in-house application processors and the accumulation of IPs. The Chinese brands therefore have the strength to expand into overseas markets with products of comparable qualities to those from international competitors. This capacity for growth is complemented by the firms’ ability to avoid legal challenges to its technology patents. 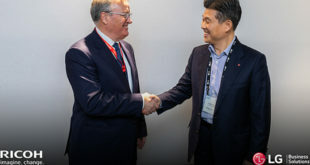 Huawei currently uses in-house, Kirin-series application processors for all its high-end devices and continues to work with Qualcomm and MediaTek in the mid-range and low-end device segments. Huawei also has developed good relationships with major telecom companies worldwide. After surpassing the 100 million mark in 2015, Huawei’s production volume increased by 21.3 per cent annually in 2016 to reach 131 million units, giving the brand a secured third-place spot in the ranking. OPPO and Vivo are two Chinese smartphone brands that burst into the market in 2016 with successful sales strategies and higher product specifications. Added together, OPPO and Vivo’s production volume for last year amounted to 180 million units. OPPO and Vivo respectively displaced Lenovo and Xiaomi to take the fourth and fifth place in the worldwide ranking. With predictions for 2017 looking set, a spanner could be thrown into the works with the return of Nokia-branded products in the smartphone market. The company never really made the transition into smartphones, but last May, Foxconn’s subsidiary FIH Mobile acquired the Nokia brand and its mobile phone business from Microsoft and at the same time entered a brand licensing and patent agreement with HMD Global Oy (HMD). Supported by Foxconn’s vast resources, Nokia is expected to release a new device at the start of this year, generating new buzz in the market.